If you’re fresh out of university and have landed yourself a job, you’re most definitely the new kid on the block. While this is an exciting experience, keeping track of the responsibilities being thrown at you can be daunting. Take it from people who have been there and done that. In the first year of working, many young adults think they have everything figured out. However, most of us make mistakes and a lot of it has to do with managing our finances. If I could go back in time, there’s a lot I would change about the way I spent my money. Those were the early days, before I had a car payment or proper adult bills. Instead I happily splurged my money on anything and everything. Not the best thing to do. No matter how old you are, managing money is tough, so your twenties are your time to build proper financial foundations. When you start earning money, having a bank account is a must. In addition to that, having a savings account is equally important too. Keeping some money aside every month not only lets you have cash on hand for emergencies, but it also limits your spending capability. Having a savings account is a cushion you didn’t know you needed and it helps with future planning. When you first start working, in the beginning put aside 10 per cent of your earnings. As you continue to figure out what your spending habits are, you can start adding more by putting aside 15 per cent, then 20 per cent. The best you can do for yourself is to put aside 30 per cent of your salary and not touch it at all. This means within one year you will have saved a large chunk of your salary. 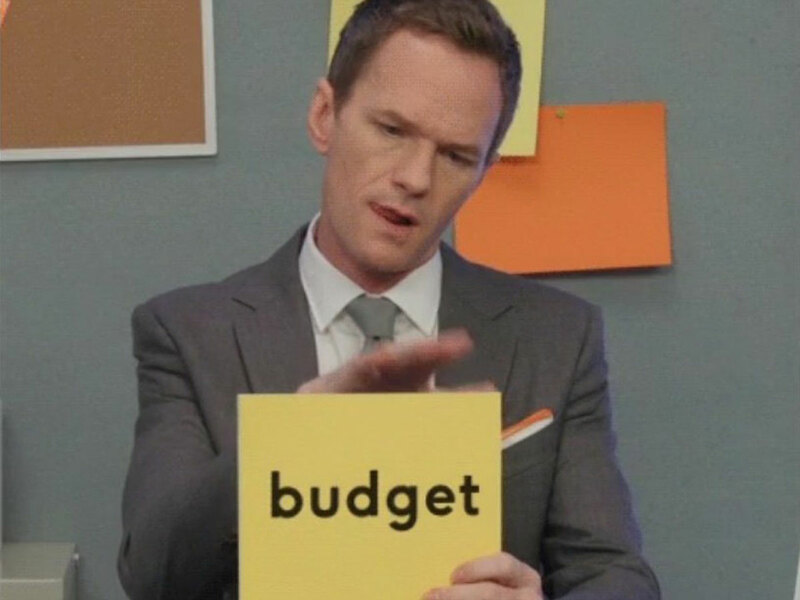 Before creating a budget, ask yourself how much you want to have in one, five and 10 years. Do you have a specific cause you want to save for? Then budget your life accordingly. When you are young, it is very important to live beneath your means and not spend all of your money. Additionally, keeping a copy and reviewing your statement of accounts is another tip to keep a track of your money and highlight any unnecessary expenditure. Being realistic about your finances is the most fundamental rule in creating a budget especially if you know your expenses during a specific month will be more than usual. If you are on a lower salary, do not set unrealistic targets. Chances are, you will be spending most of your earnings on regular utilities so don't set a budget that won’t work for you. Credit cards are not magic plastic cards that make money out of nowhere. Credit cards are literally the worst way to spend money. The interest rates on credit cards here in the UAE are very high. But we cannot deny that we need credit cards in life to make certain purchases and to maintain a credit history in the country that you are living in. You should know that you do not need to have more than one credit card in your life. The more credit cards you have, the more the false sense of purchasing power you have. Paying back your minimum balance of credit card bills can mean almost 70-80 per cent in financial service fees charged by the banks, bringing no reduction to the principal amount. If you must use your plastic money, make sure you don’t max it out and you are very diligent in paying back your dues in full, to avoid incurring hundreds or thousands of dirham in interest and late payment fees. Interest rates on credit cards in the UAE are said to be higher than in other markets like the UK or most of Europe, Japan and the United States. You can also move the outstanding balances to an interest-free balance transfer card, to help lower borrowing costs and pay it off much quickly. Life is unpredictable and no matter how much we plan for the future, something’s have to be left to chance. Having an emergency fund makes the future a little less ambiguous. A lot of people maintain a savings account but think of it as money frozen, and forgotten. For some people, having a second, smaller savings account gives more liquidity to one’s spending needs. For example, say an individual withdraws Dh2,000 monthly. At the end of the month if Dh200 are left over, it is kept aside. In this way, every month the unused amounts gets collected in a separate fund which you can maintain at home and can be used when certain months get more expensive than others. If you find yourself straying from your budget more often, then it's time for a reality check. In a highly populated market with professionals replaced every day, you could find yourself without a job. Think of an unfortunate situation where you might not be able to pay your rent or might have trouble making ends meet while finding a new job. Does your shopping spree still seem important? Be slightly pessimistic and think of what you would do in a scenario where a family member needs help. If you have no savings and are spending money monthly as it comes in, you are making yourself vulnerable to various situations. This might help you think of the future with slightly more clarity than just meeting your current monthly needs. Remember, when you are financially independent you are in control of your individual wants and need not be dependent on anyone. You can help loved ones and even pamper yourself without being answerable to anyone. This sense of power should be enough to get you on a budget today. For the kids and millennials reading this, listen up: The allure of our city sometimes tempts the will power of even the strongest among us – we get it. Here are a few money saving tips for youngsters in Dubai. And for everyone else: we hope our piece on how to budget your monthly income in Dubai can help. It’s so easy to just rely on delivery guys to bring you your food, especially when you start working and think you are too busy to cook at home. But the costs can and will add up quickly - if you spend between Dh15-40 on lunch per day, you’ve just spent between Dh75-200 each workweek - that’s Dh300-800 each month. Channel your inner chef and try your hand at meal-prepping. Even if you’re not quite ready for your own cooking show yet, it can be a relaxing routine that saves you a lot money. The UAE heat is no joke, and everyone knows the importance of staying hydrated. Avoid unnecessary spending by getting a water cooler. Each 5-gallon bottle is the equivalent of 38 500ml bottles. Each 5-gallon bottle for the cooler costs around Dh10, whereas individual 500ml bottles cost around Dh1. That’s Dh10 vs. Dh38, more than triple the price for the same quantity of water. You would also consume less plastic with the 5-gallon bottle, and these get returned to the vendor in many cases - this one’s a tip that’s friendly for your wallet and the environment. 1. Keep your AC at 24 degree Celsius. That is the most cost effective option in the UAE. 2. Make sure your air-conditioning unit is set to “auto” rather than the “on” mode, as this will regulate the room temperature more effectively. 3. Don’t just switch off your appliances when you aren’t using them, actually switch off the power or unplug them to eliminate standby use. 4. Only water your garden in the morning or late at night. 5. Change your lightbulbs to be more energy efficient. 6. Wash your clothes at 30-40C only. That will help keep your electricity bill in check. Also, don’t press “go”’ until you have a full load. 7. Add a dual flush button to your toilets. Toilets account for 30 per cent of all indoor water use, so fit a dual flush button to save on wastage. 8. Install aerators on your water taps. This is a clever way to reduce water consumption by forcing air into the water flow, without disrupting water pressure. 1. Use a small trolley cart. Using a big trolley cart will give you the need to fill up the cart and that’s how you end up buying unnecessary items. 2. Check the price per unit. This is the best way to compare prices. Not all large packages or bulk items offer the best price. Checking what each unit costs, will give you a better idea on whether to buy the ones on sale or in bulk. 3. Check the bottom shelves. That’s where all the generic items are usually placed. These generic versions, are cheaper than the famous big brands that we all know, and sometimes taste the same. Well- known retailers are charging product makers to put their items at eye level. 4. Plan your shopping itinerary. Supermarkets and giant grocery stores have professionally designed inviting aisle patterns that entice you to buy things you aren’t planning on eating. The shopping path forces you to walk past products on aisles. Staple items such as meat, dairy products, breads, and essential household items are usually located in far corners or the opposite end of the entrance. 5. Stick to your habitual grocery list. After you have chosen the most cost effective groceries and planned your route to save time and money, the next time you go shopping, try to stick to your list of to-buy items until you form a habit. 6. Ask the butcher’s help. If you know how to cook the basics, then you’ll know exactly what portion of fish, beef or chicken meat to buy in your house. Instead of buying repackaged premium cut meats, ask the butcher for cheaper cuts or larger cuts, that usually cost less than the ones displayed right out front. 7. Thaw your own food. The deli marks up the prices of already thawed meats, which are ready to cook straight away. These are actually the same items you find in the frozen food section. Save your money and buy frozen meats instead of room temperature. 8. Eat before you shop. Never ever do your grocery shopping before mealtime or when you feel hungry. Take our word for it. 9.	Review your receipt for errors. You may not always notice this but blunders happen at the cashier section all the time. Keep an eye out when you pay for your groceries to make sure that no double punches are made while checking out and always review your receipt. Ask yourself when you actually do have time to watch TV? Most of us pay an average of Dh250 a month to our cable provider and we often don’t take full advantage of the service. Instead, get yourself a Netflix, Starzplay, Wavo or an Amazon Prime account, which will cost you around Dh30 a month instead! Connect your lap top to your TV if you prefer a big screen. Sometimes you pay for the convenience. But these all add up. Cheeses, veggies and cured meats are much cheaper if you buy them and slice on your own. Might take more time, but the savings will be evident. If you’re in a grocery store, try going for their generic and local brands, which cost less than imported items. It’s an easy way to save money over time, since store brands cost around 30 per cent less than international brands. Of course, you don’t have to buy everything in store brands, just decide on what you are willing to sacrifice. Your daily Dh12 latte can brighten up your morning, but it does very little for your budget. Consider buying your own coffee maker like a French press so you can brew your favourite coffee at home and take with you during your commute. A bottle of coffee granules or tea bags, which you can use with hot water while at work, is a better alternative. Craving cappuccino? All you need is a Dh4 coffee beater from Ikea. It is smaller and thinner than your hair brush - so carry it to work, froth up some instant coffee and milk for some 'office-made' cappuccino. Do not be pressured to sign up for 12 or 24-month contract to always be online or ready to make calls. Du and Etisalat offers different daily, weekly and monthly bundles so you can be active on social media, do some surfing and make calls both locally and internationally.